Seattle has certainly produced its share of popular musicians. Pearl Jam, Kurt Cobain, Sir Mix-A-Lot, Kenny G and Macklemore are just a few that come to mind. But one of the biggest names to ever come out of Seattle is singer songwriter James Marshall “Jimi” Hendrix. While his life was cut short decades ago when he passed away at the young age of 27, his music still lives on. Today, Seattleites and tourists can pay tribute to him and his music at the Jimi Hendrix Memorial. Born and raised in Seattle, Jimi Hendrix made a name for himself with songs like Purple Haze, Hey Joe, The Wind Cries Mary, and many others. He is arguably one of the greatest guitarists of all time and the best rock and roller to come out of Seattle. The Museum of Pop Culture even has an entire exhibit dedicated to the musician. 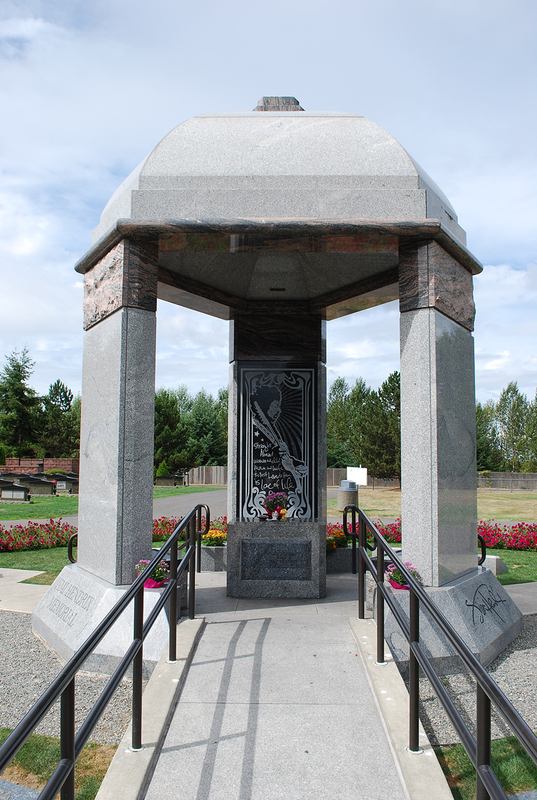 When he died in 1970, Jimi Hendrix was buried in Renton where his mother was buried. Today, his grave has turned into a large, stone memorial. 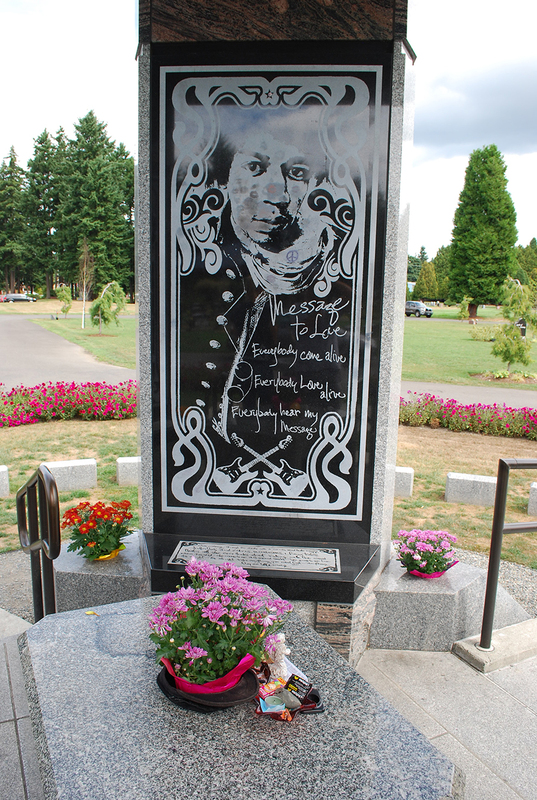 The Jimi Hendrix Memorial (350 Monroe Ave. NE) is located at the Greenwood Cemetery in Renton, which is about a 20 minute drive from Seattle. The memorial is located on the western edge of the cemetery and is hard to miss. His grave stone is surrounded by a large marble dome that stands around 25 feet tall. The dome has three three walls and on each wall is a picture of Jimi with his hand written poetry and lyrics etched in the stone. This is my favorite part of the Jimi Hendrix memorial. It is really special to not only read his touching words in the place he is buried, but also read them in his handwriting. Jimi Hendrix’s signature is also etched into the outside of the memorial. Jimi’s face it etched into the stone of the memorial. On top of the grave, people leave small trinkets and memorabilia including flowers, toy mushrooms and even a condom. Jimi’s family is buried surrounding the dome. Unfortunately, not everyone shows respect when visiting the Jimi Hendrix Memorial. People use marker to write on the stone where Jimi’s lyrics are etched. There is also a lot of lipstick marks left on Jimi’s faced from people who kissed the stone. Tim and I struck up a conversation with a guy who lives nearby and says the groundskeepers are constantly have to clean off the memorial. It is really too bad not everyone can be respectful when visiting. When we visited the Jimi Hendrix Memorial, there was a good flow of people stopping by. There were both young and old people, which shows what type of mark Jimi Hendrix left on Seattle and the music scene. Some of Jimi’s lyrics etched into the memorial. On the way back to Seattle, Tim and I rocked out to his music in the car. 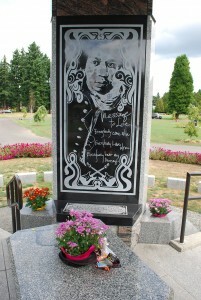 I think the short trip to Renton to visit the Jimi Hendrix Memorial is worth it. Jimi Hendrix not only left his mark on Seattle, but the entire world. His music will live on for generations to come and Seattle is lucky to not only claim him, but pay tribute to him through this memorial. Have you ever paid tribute to Jimi Hendrix at the Jimi Hendrix Memorial? Who is your favorite Seattle musician? We’d love to hear from you. Please leave a comment below or connect with us on Twitter, Facebook and Google+. 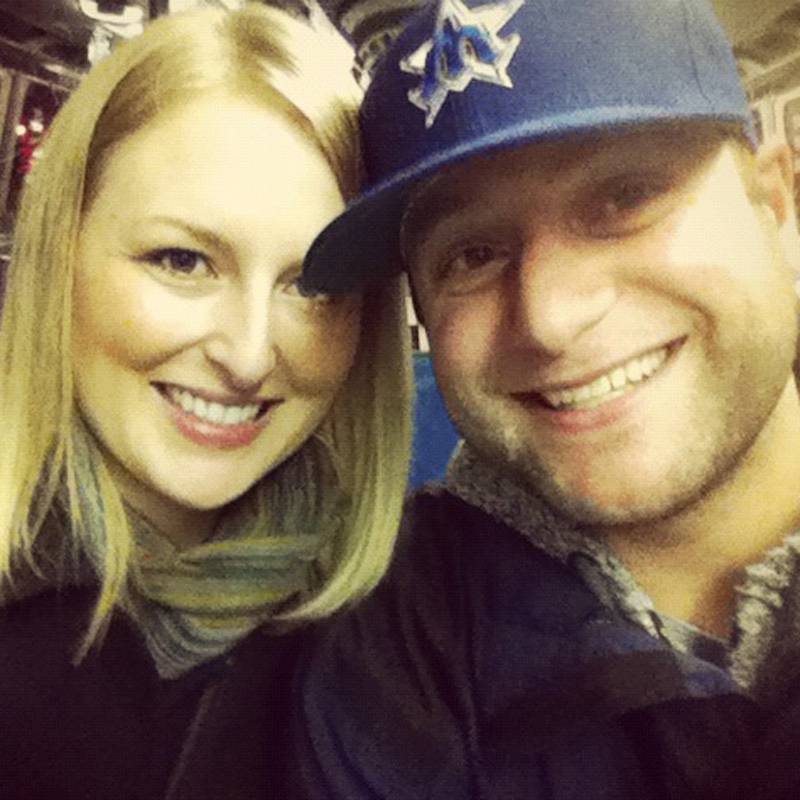 Don’t forget to also check out Seattle Bloggers for more things to experience in and around the Seattle area.